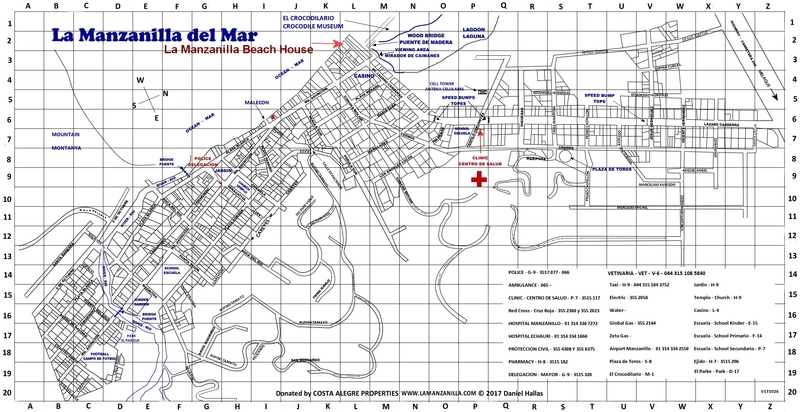 La Manzanilla Beach House A real gem, located right on the beach (L-2 on the map). 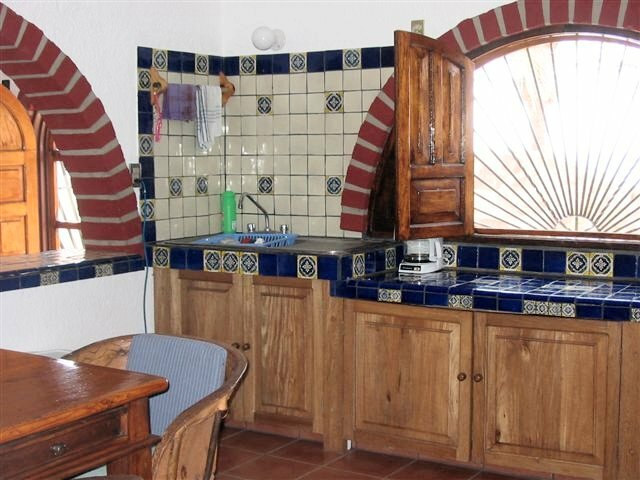 Experience the charms of Mexico in this 2 story 1,840 sq ft home with 3 spacious bedrooms and 2 bathrooms, remodeled with Mexican marble and tile, and custom made doors and cabinets. 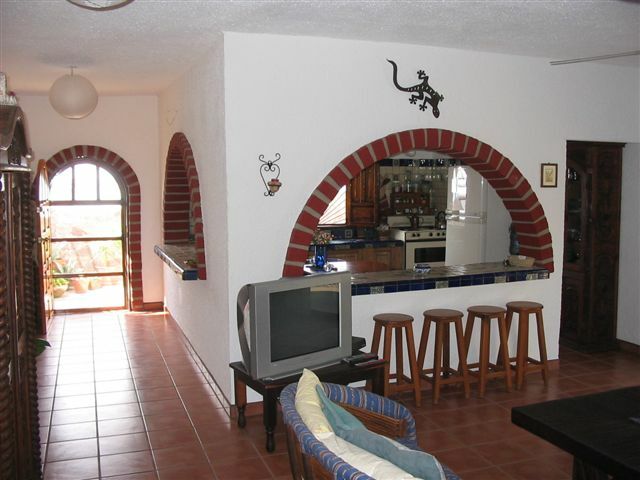 The upstairs terraza overlooks the beach. 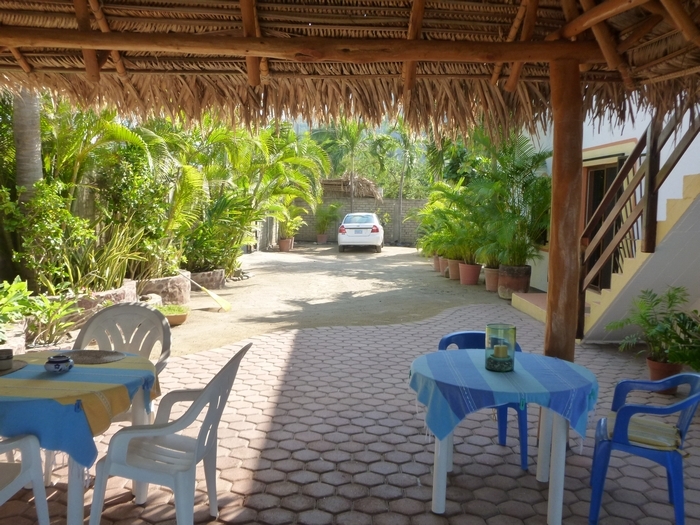 Enjoy the sunsets and fantastic views of the beach and the Tennacatita Bay. 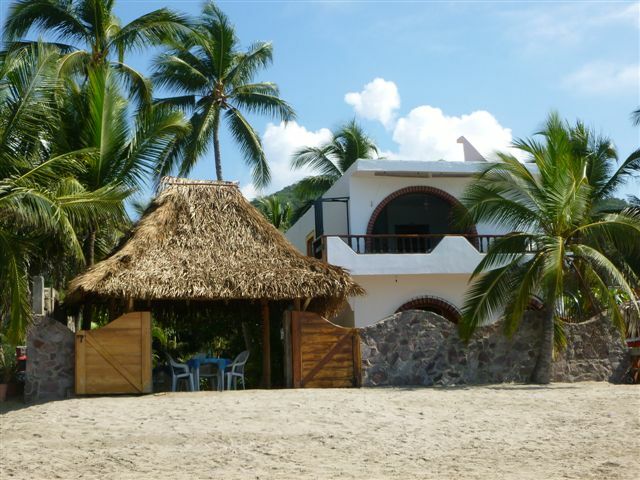 The 4,574 sq ft. lot is walled and gated for privacy with a seawall on the beachside. 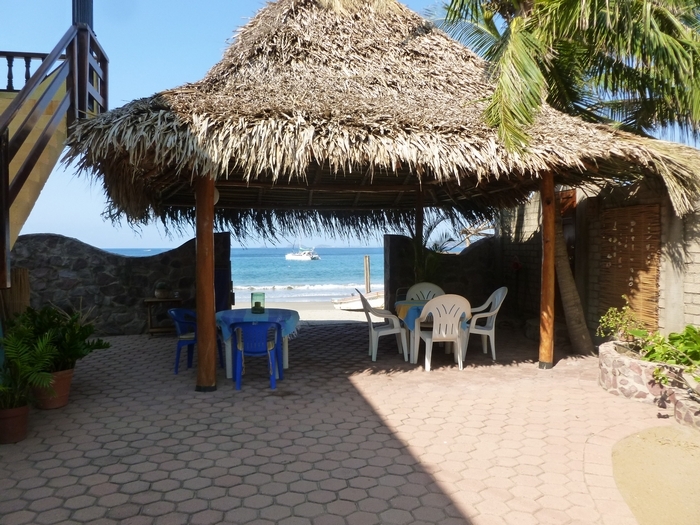 A shade ramada opening to the beach gives you extra living space outdoors. Large wooden doors for entry of vehicles allows for ample parking within the compound. There are 2 outdoor patios, gardens, and plenty of space for future development. The house can be enjoyed as 2 apts. 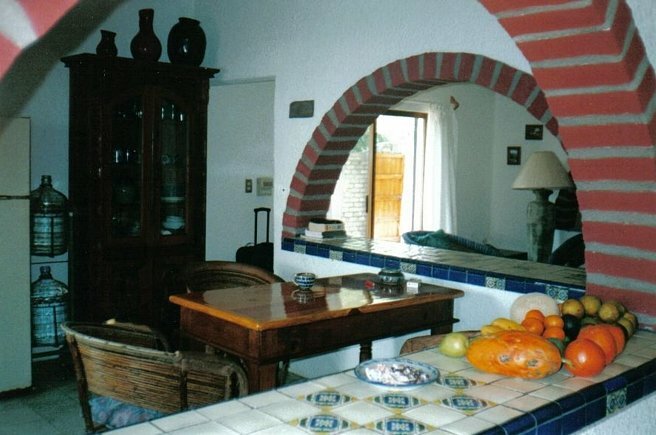 each with it's own entrance and kitchen or as a whole house utilizing an interior staircase. 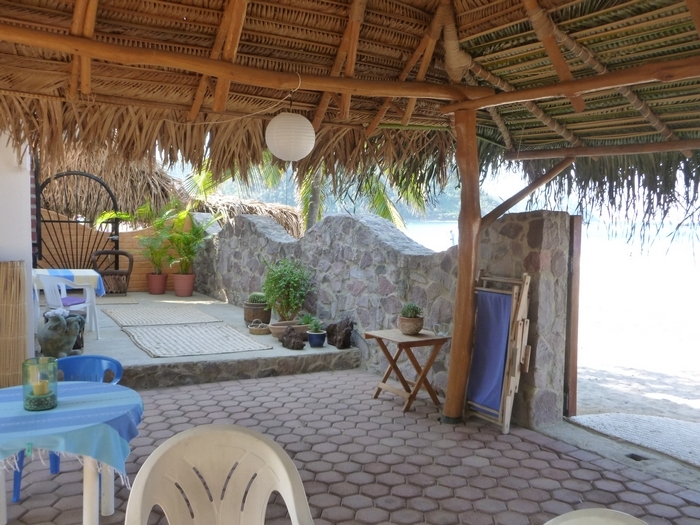 Come view this great opportunity to see and appreciate the charm and the ambience of beach life at it's best! 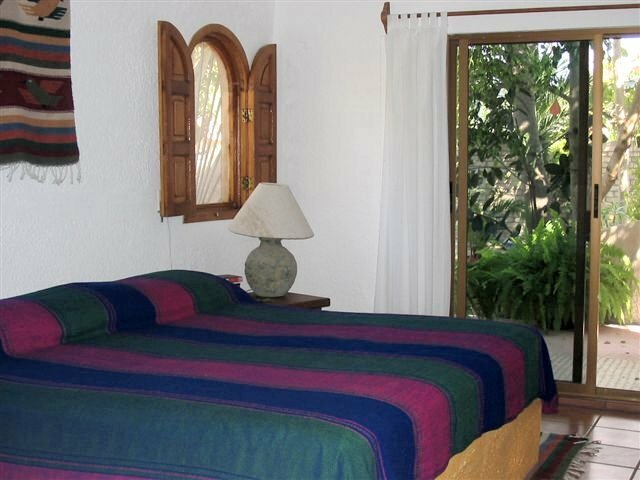 List Price $359,000 $307,000 usd. The home as seen from the beach. Entry with kitchen on the right.